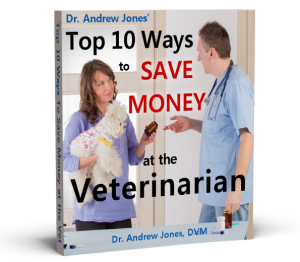 In this video Dr Jones shows you how to tell if your cat or dog has ear mites, plus the top 3 holistic remedies to treat your pet’s ear mites at home. Great info Doc! Being a Vet Tech here in the US, and a proponent of natural medicine, I know the standard treatment for ear mites. I do not however care to use toxic products unless absolutely necessary, so am grateful for your natural treatment advice. Have your book and DVD, the videos are great for we visual learners. All the while watching, I’m chucking, knowing Gussie was NOT happy being your model, surprised she made it as long as she did. Cat scratchs? All in a day’s work. ? I could not understand what it was that you mixed with the olive oil to make the drops for rid the ear mites. Oh Gussie! She was most patient, and only ran away after expressing disapproval for 5 minutes. I have had good results with your tips, too, and enjoyed watching you work with Gussie. The olive oil alone works well but I have not tried it with calendula yet, nor have I tried the coconut oil, but the Diatomaceous Earth is very effective. I use DE for many things, including flea treatment of the animal, their bedding, and the premises. I also add some DE to their wet food at the first sign of any worms. Thank you for demonstrating this procedure for ear mites. I look forward to more demo videos like this in the future! Brilliant video on clearing pets ears. So totally surprised you managed to get as far along in treating Gussie who tolerated the procedure really well. Hilarious when she had enough and did the exit dive.